red fostering bus, they are always on-hand to give more information about Fostering for Wolverhampton and talk to people who are thinking of becoming foster carers. Need to know more about Fostering Events? Please get in touch if you need to find out more information about any of our fostering events or if you are interested in attending. By selecting this box you give consent for the information you have provided to be used by Fostering for Wolverhampton. This will include marketing information appropriate to Fostering for Wolverhampton. You also consent to your information being shared with other related organisations. 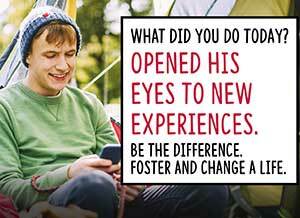 Monday 13 May to Sunday 26 May - Foster Care Fortnight events across Wolverhampton - Details coming soon.